Home / Blog / FREE WORKOUT FRIDAY: Core of Steel Circuit! FREE WORKOUT FRIDAY: Core of Steel Circuit! Core training is a really hot topic. As it should be! Having abs of steel that will protect your back, improve your posture, allow you to move lots of heavy weight safely (inside and out of the gym) and perform better in your daily activities is really, really important. Unfortunately, most are still trying to crunch and twist their way to dreamy abs and are missing out on a much more effective way to work their mid-section. Myth Busting: While crunches have always been the “go-to” for feeling the burn in your core, the only thing you’re really crunching are your spine and discs. 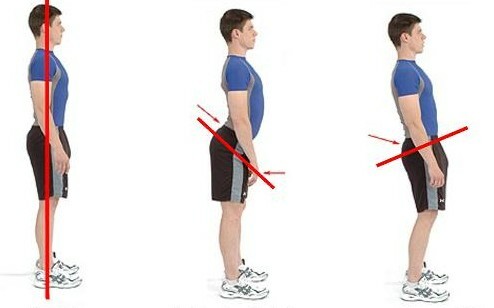 All of that high volume, repetitive bending through the lower back can have some pretty gnarly negative effects on the spine. Plus, they don’t truly allow us to train strength, stability or overall performance of the core. Plus, the core is more than just our “six pack” muscles. It includes all of the abdominal muscles, plus the muscles in the lower back, hips and pelvis (including our glutes!). 1)To resist movement. Our core is designed to be strong and stable enough to prevent unnecessary movement in our mid-section to protect our internal goodies, including our spine. So core training at best is trying to maintain a neutral spine (good alignment) under a load or force that is trying to alter that position. Neutral spine and good alignment demonstrated by our homeboy on the left. 2)To transfer force between the upper and lower body. Let’s take a dumbbell chest press or a barbell bench press for example. 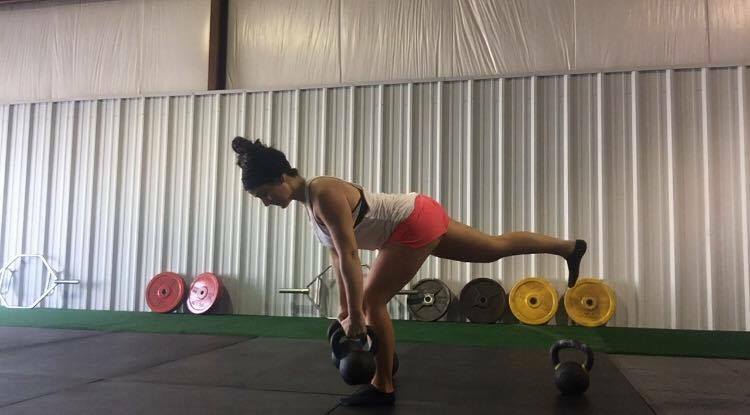 To do these properly and to maximize the benefits, you must use leg drive (driving your feet into the ground while pressing the weight). The energy from that “drive” travels from your lower body through your core and into your upper body to help you press the weight up. If you have a weak core, that energy will “leak” out, and the exercise won’t be as beneficial. At Hurst Strength, nearly every exercise we perform is a core exercise. Compound movements like squats, deadlifts, push ups and rows, challenge us to maintain good alignment and resist movement through our mid-section while doing them in order to make them as safe and effective as possible. The core circuit below will incorporate all four categories and will not only help give you great looking abs, but ones that function well in a real-world manner, while promoting good posture and alignment. Repeat A1-A3 sequentially, resting 30-45s seconds between each exercises and 60-90 seconds before starting another round, repeat 2-3 times total. Then, do the same for B1-B2. Don’t be fooled by how simple or easy these movements may look! Try them out for yourself and prepare to be challenged and to feel them throughout your entire body, not just your abs! It’s also really important for me to note that a strong core comes from the gym, but visible abs come from the kitchen (..cue the eyerolling!). Unfortunately, you cannot spot reduce any part of your body to make it appear more toned, your mid-section included. So attaining a sleeker looking mid-section comes down to losing overall body fat in order to reveal those muscles (their visibility also depends on your genetics, stress level and overall health). Show off your steel core and let me know how you do! Comment below or give me a shout on Instagram (tag @HurstStrengthCT), I’d love to see your pics/videos! I hope you have a fab weekend filled with plenty of laughs, sunshine and thrills!